SUMMARY: My book, Shady Women: Three Short Plays, depicts female characters with defiant natures and complex moral dilemmas. These forces propel them forward to battle for their lives. THE BACK STORY: As a writer, I enjoy telling stories that wouldn’t necessarily be told. And the themes of these three plays — lesbians in grief living in the shadows, broken families, and loneliness- — have a running thrust of empowerment for women, and by extension, anyone who feels voiceless. WHY THIS TITLE? : The word “shady” in terms of women in the title means something quite different from the traditional associations we attach to it. By Shady Women I mean that there are a set of cultural expectations for women and my characters operate beyond that well-lit space. Like the pioneering women of the #metoo movement, they break out of the cultural norms of silence, fear, shame, and the experience of a sense of futility—if they speak, no one will care or believe them—by coming out of the dark and into the light and broadening the concept of the feminine. WHY SOMEONE WOULD WANT TO READ IT: The book is something someone could read quickly—for instance, on a commute, sitting down and relaxing, or waiting somewhere. It’s instantly digestible yet richly rewarding as I am writing for the human heart. The reader—regardless of sexuality, race or religion–will walk away with knowing that none of us is in the dark alone, to speak up because our voices matter, and with realizing that we are all vulnerable and imperfect and these are the qualities that make us human. “Brutally honest and original…A complete delight!” — Craig Lucas, playwright, An American in Paris. “Whether it’s dealing with the bitter tug of war that’s child custody, the slippery love of an Older and Younger woman or the rambling misdirection of a College Professor charged with murder , Elizabeth Primamore is able to share the humanity of her characters and her own heart.” –Mark St. Germain, playwright, Freud’s Last Session, Dramatists Play Service, 2009. “Superb plays in their exploration of subject matter, muscular dialogue, and startling stage action.” Honor Molloy, playwright, Crackskull Row. 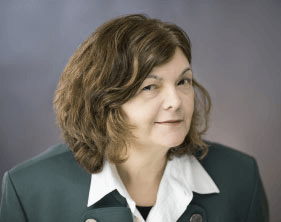 AUTHOR PROFILE: Elizabeth Primamore studied playwriting at HB Studio. Just Fine and Blank have been produced in HB’s Short Play Festivals. Just Fine was published in Literature and Gender (Longman, 2011) and New America (Autumn House Press, 2012). Craig Lucas and Jack Hofsiss provided dramaturgical support for her full-length play, Undone, which has received readings at The Flea, The Cherry Lane, and Ensemble Studio Theatre. Our First Christmas and A Child’s Best Interest have been included in a number of short play festivals. She is a fellow at The Virginia Center for the Creative Arts and The Woodstock Byrdcliffe Guild. Her most recent play, The Professor and Michael Field, was a semifinalist for the Eugene O’Neill National Playwrights Conference. 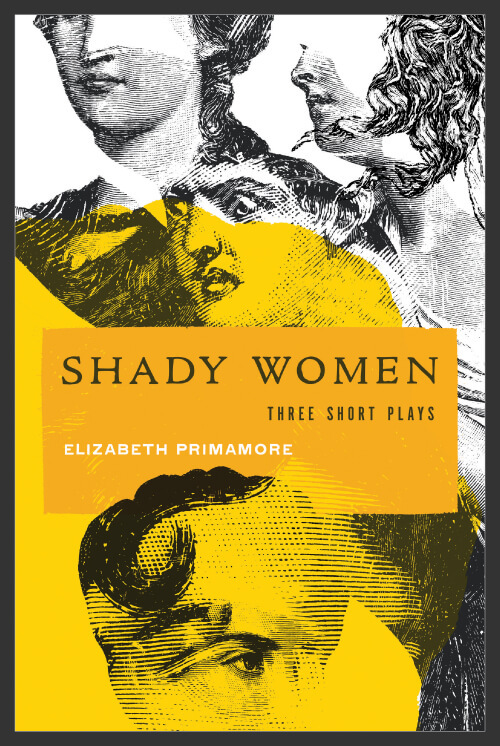 Shady Women: Three Short Plays, is published by Upper Hand Press. Elizabeth lives in New York. LOCAL OUTLETS: Upperhandpress.com and through your favorite independent bookstore.